Despite the technology, there is one aspect of the workplace that will never change, the need to hire and retain good talent. Finding good talent is difficult, though, when you don't know what the future holds. That's where "The Future Workplace Experience: 10 Rules For Mastering Disruption in Recruiting and Engaging Employees" steps in. 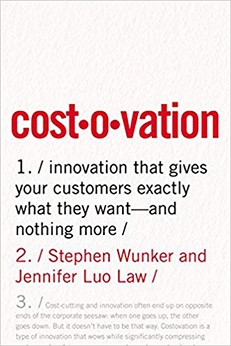 Written by two experts working in the field of workplace innovation, the book offers a strategic peak into the future. Business books are all abuzz about the need to innovate. These books advocate for new technologies, new leadership styles and new organizational structures. Do you know one area that these books don’t talk about? Human resources. The Future Workplace Experience: 10 Rules For Mastering Disruption in Recruiting and Engaging Employees helps both workers and those in human resources understand how the future of work is shaping innovation. What is The Future Workplace Experience About? The Future Workplace Experience concerns itself with the trends of the workplace in the future, although from a different perspective than most readers will be used to. For years now, experts writing about this future have focused on the “Uberization of work”. Many of these experts pounced on the decline of the traditional “9 to 5” and the rise of the tech-driven “gig economy” which allowed workers to work from anywhere at anytime that worked for them. 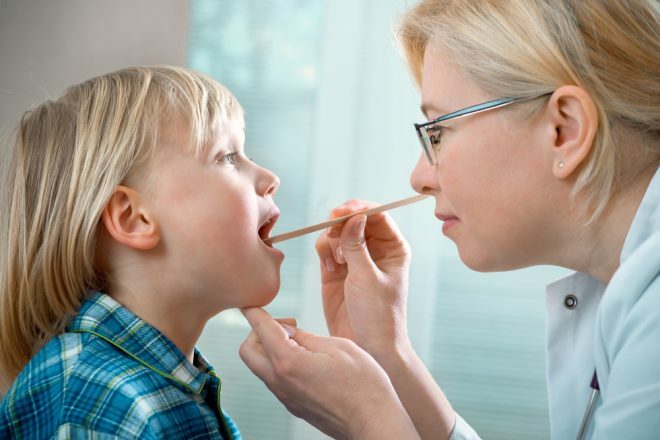 While focusing on these trends is important, it neglects one key ingredient, the employer. In the rush for everyone to become an Uber driver, we are forgetting the human resources department, the recruiter, and the hiring manager. The Future Workplace Experience brings the “future of work” conversation to the employer side of things. 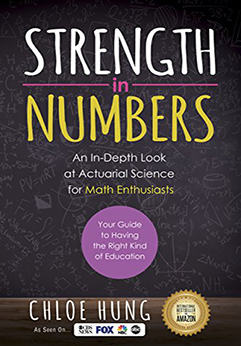 Specifically, it explores 10 trends that will significantly impact employers as they recruit, select and train employees, contractors or freelancers. The book urges employers to break away from the idea of work as “the place for the weekday 9 to 5” and embrace the workplace as an experience designed to attract, develop and retain talent. By embracing this new view of the workplace, labor management can become just as innovative and agile as a startup company. The book urges readers, especially those in charge of “human-resources related stuff“, to review almost every aspect of their hiring process in light of the ten future-oriented trends in the book. Some big areas discussed in the book include the physical space of your workplace, working with multiple generations, gender equality and employee training. By pointing these areas out, the authors hope readers will be able to foster dynamic and agile leadership to survive a chaotic and unpredictable future with a diverse, gig-hopping, technically skilled and highly competitive workforce. 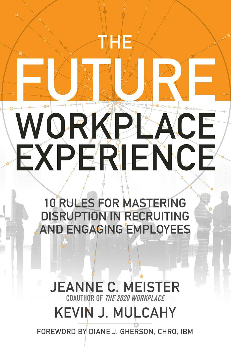 Author Jeanne Meister is the founding partner of the Future Workplace, a consulting research firm and network for HR/talent management executives, a Forbes contributor and a co-author of other books on the future of work. Meister comes from a background in managing talent and organizations at the highest levels as an HR consultant with Thomson Reuters and as a founder of her own corporate-university designing business. Her co-author is Kevin Mulcahy also a co-partner with Meister and Dan Schawbel at Future Workplace. Mulcahy comes from an extensive background in management strategy and executive coaching. What Was Best About The Future Workplace Experience? The Future Workplace Experience pulls from the research experience of Meister and Mulcahy, both of whom have a lot of experience in attempting to predict the future of work. Their research is aimed at a specific audience that is often neglected in the “gig economy”, employers. For employers, the book provides an ambitiously proactive way for leaders to innovate their labor and talent management strategies. The Future Workplace Experience isn’t a straightforward “this is how you prepare for the future” book. Instead, it is a look at the world as it could be based on research and some suggestions based on that research from the authors. For those companies that have the resources (mid-sized and larger businesses), this provides an ample playground for innovation. For smaller companies, these same ideas may be an obstacle. More details on how small businesses can transition into the new future of work might be extremely helpful. Why Read The Future Workplace Experience? If you’re a business leader who understands the importance of innovation, The Future Workplace Experience adds a critical piece to the puzzle. Most innovation books focus on technical innovation or fancy teamwork procedures. This book focuses on the people. No matter what kind of technological innovation you plan to offer in your business, you need to have a system for hiring and retaining the right people. This book provides best practices for how to do that now and well into the chaotic and disruptive world of the future.